Next week our 4th and 5th graders will be completing the first round of STAAR testing for this Spring. The fourth graders will take the Writing STAAR test and the fifth graders will take both the Math and Reading STAAR tests. Also, this is a reminder that on these testing dates we will be closing the campus to all visitors. I know it is always an inconvenience, but your cooperation is greatly appreciated. The next round of STAAR will occur on May 13th, 14th, and 15th. On those dates the fifth graders will be taking the Science STAAR test and the third and fourth graders will be taking the Reading and Math STAAR tests. We will once again need to close the campus to all visitors those three days. Included with this Boone Bear Facts is a letter from the AISD Boundary Advisory Committee (BAC) that has information about a possible attendance zone boundary change for the 2020-21 school year. The initial changes proposed by the BAC do not change the attendance zone for any students currently at Boone. Since Boone is not at full capacity, the plan calls for the additional students to be added to Boone. At this time, those students are scheduled to be students currently attending Cowan. Information regarding these possible changes will be discussed/shared at several upcoming meetings. The dates of these meetings are in the attached letter. Currently, the meeting scheduled at Boone ES is our monthly Campus Advisory Council meeting on April 15th at 3:15 in the school library. These meetings are always open to the public, so please attend if you would like. Please know that no final decisions have been made and these meetings are to provide information and gather input from the schools impacted by these decisions. I will keep you informed and up to date with this process as things develop. In today’s Take Home Folders there is a letter from me informing all parents of an optional meeting next Wednesday, April 10th, from 6-7 pm to discuss the AISD Human Sexuality Education Curriculum that will be taught in each class in May. At this meeting we will review AISD policy regarding this curriculum, provide an opportunity to review an overview of the topics at each grade level, discuss the lessons with a grade level teacher, and provide information on the opt out process should you not wish your child to participate in this curriculum. On Monday, we will be sending home grade level specific “Opt Out” letters to all parents. If you do want your child to participate, no further action is needed. If you do not want them to participate, you will need to complete the opt out letter and return it to your child’s teacher. Additional details and information are provided in the letter that was sent home today and in the opt out letter that you will receive on Monday. The Boone Campus Advisory Council is looking for 2-3 new parents to fill roles on the CAC. We meet once a month from 3:20 – 4:20 pm. The role of the CAC is to provide support and guidance over various school related topics and plans. Parent input is extremely valued at Boone and this is an important part of what keeps Boone great. The application for the CAC is attached to this email. Please complete the application and submit it to the main office. The CAC will be reviewing the applications and voting on new members at our April and May meetings. If you have any additional questions, please contact me directly at 512-414-5311. Community workshops regarding the Austin Independent School District’s School Changes process are scheduled in April to continue the conversation on potential school consolidation, increased programming and repurposing. Workshops will feature a panel of AISD staff, community members, planners and developers, who will engage the audience in a dialogue around the challenges and opportunities this process presents. Attendees will gain a better understanding of the “Reinvention Roadmap” and participate in facilitated activities to gain perspective on what it could look like to come out of this process with school communities that are better and stronger than they are now. The meeting schedule is listed below. Additional information is included on the flier attached to the Boone Bear Facts email. Fliers are available in English and Spanish—for all other language accommodations, please contact us directly at 512-414-4581. Spanish interpretation and childcare will be provided at all meetings. Please direct questions or comments to Ali Ghilarducci, Community Engagement Coordinator at 512-414-4487 or alison.ghilarducci@austinisd.org. Attached to this email is the form for you to use to provide any input you would like regarding your child’s classroom placement next year. As always, I ask that you not request individual teachers by name. I simply cannot honor those requests. However, if there are any issues, concerns, or other student problems you would like us to know about, please complete the form and return it to the office. Hard copies are also available in the main office. Just drop by and we will get you one. Forms will be due by May 3rd. Online Registration Has Begun for 2019-2020 School Year! Please look for information in your child's Thursday folder for information regarding enrolling your child for next year. If you haven't already done this, please do so ASAP. In order for your child to placed in a class for next year, this process will need to be completed first. You will be able to receive assistance with registering your child online for the 2019–20 school year as well as help with creating or accessing your Parent Cloud account. Register at this location regardless of the AISD campus your child will be attending. For more information, contact Rob Story at 512-414-9187. Join us for Boone's First Annual Campus Campout! There will be a potluck dinner and campout at school Friday, April 26th. Space will be limited for a total of 40 families on a first come first served basis. Camping gear (tents, chairs, stove, etc) will be available for approximately 25 families. You can sign up online. A paper form also went home in today's Thursday folder. An agenda will be coming soon! If you would like to join us please fill out this form and return it to your child’s teacher. To limit confusion if you fill out the online form, please do not fill out the paper form. Boone Beans Coffee Fundraiser continues! We have ONLINE ORDERING at http://boonepta.com/shop/. We are also SHIPPING USPS Priority Mail for $9, any weight. The next turn-ins of physical orders will be Monday the 8th & Friday the 12th. We will take online orders until April 14th. Support your kids while you support your habit! 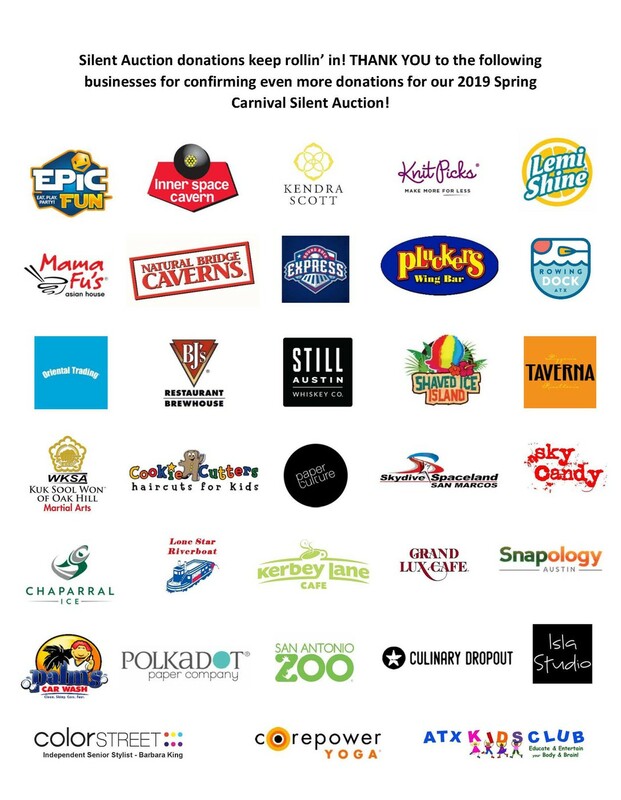 If your family-owned business or employer is interested in making a donation for the Spring Carnival Silent Auction please contact Jennifer at booneptamembership@gmail.com. The names/logos of all donors will be displayed on a highly visible Wall of Donors at the carnival, and donors will also be recognized in the school e-newsletter and on the Boone PTA Facebook page. THANK YOU SILENT AUCTION DONORS! Thanks to another round of silent auction donors! 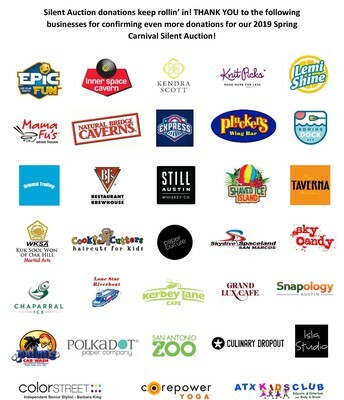 This year's silent auction promises to have many new and exciting items up for bid! Thanks to our Silent Auction Sponsors! 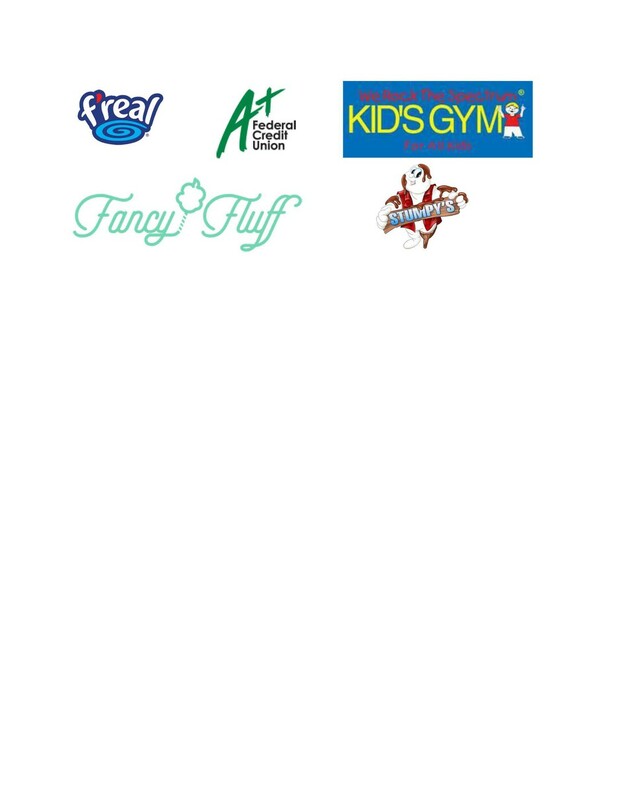 Thanks to Our Carnival Sponsors! Apr 4 - 3rd Grade Choir Musical 5:00 - 5:30 p.m.
Apr 4 - Multicultural Night 5:30 - 7:00 p.m.
Apr 5 - 3rd Grade Choir Musical 7:45 - 8:15 a.m.
Apr 5 - Spirit Night at Chuck E Cheese 3:00 - 9:00 p.m.
Apr 11 - 1st Grade Musical 5:00 - 5:30 p.m.
Apr 12 - 1st Grade Musical 7:45 - 8:15 a.m.